Three delicious meals are served each day around the guest’s schedule. The menu includes a variety of traditional Indonesian cuisine with a few western favorites. We can cater to special dietary needs by request, including vegetarian and gluten-free. 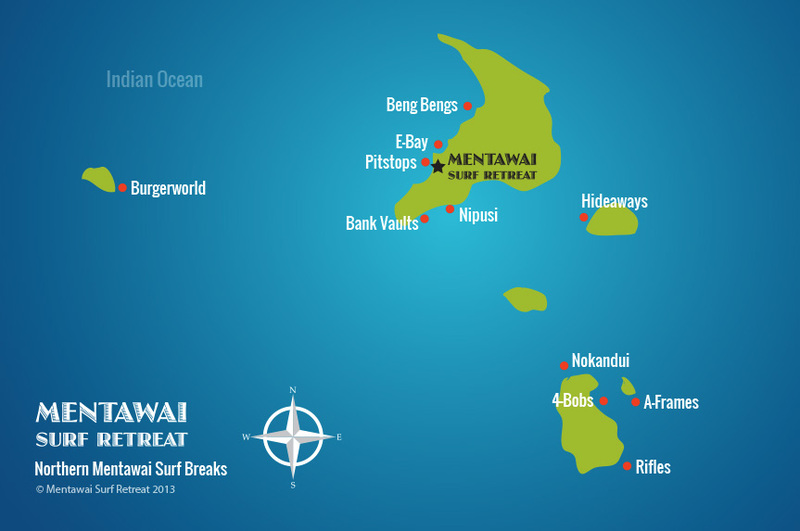 Cold refreshments and snacks will be provided for all surf missions. We realize the extreme importance of remaining hydrated out here so we will always ensure ample supply of fluids. Beer & soda is available for purchase and is not included in the packaged price. You are more than welcome to bring your own duty free liquor! 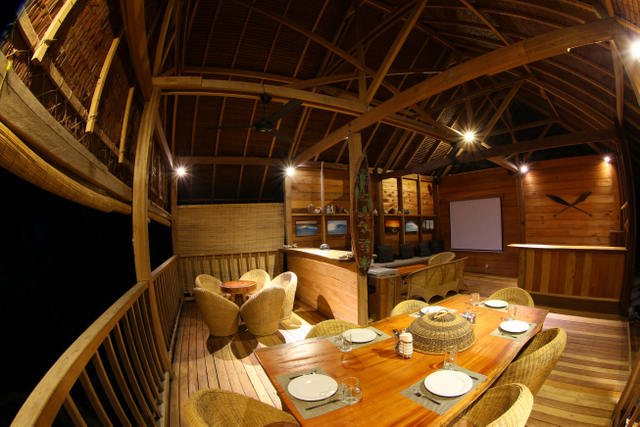 The Mentawai Surf Retreat boasts an elevated beachfront Restaurant/Bar and Lounge with wave and ocean views. The Nyang Nyang Lounge is a place gather, eat, drink , share photos and watch videos. The building is designed to maximize the views of the surrounding scenery in every direction. With a spacious deck at the front, staring straight into the barrel of Pit Stops and indoor/outdoor dining area.